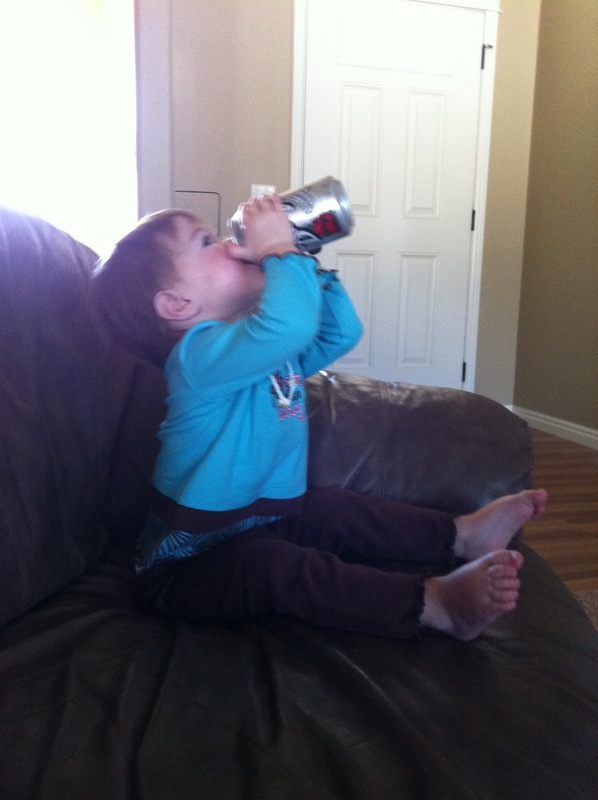 This girl loves soda. Now, all you mothers out there, don't go accusing me of being a bad parent. She only gets it on occasion and it's only a little bit. 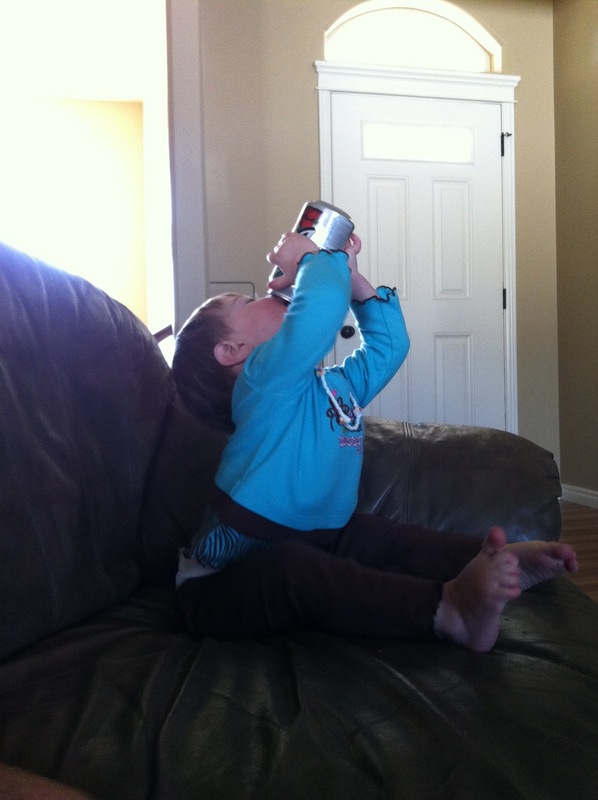 She knows what the good stuff is and here is proof. No soda was consumed in this photo shoot. 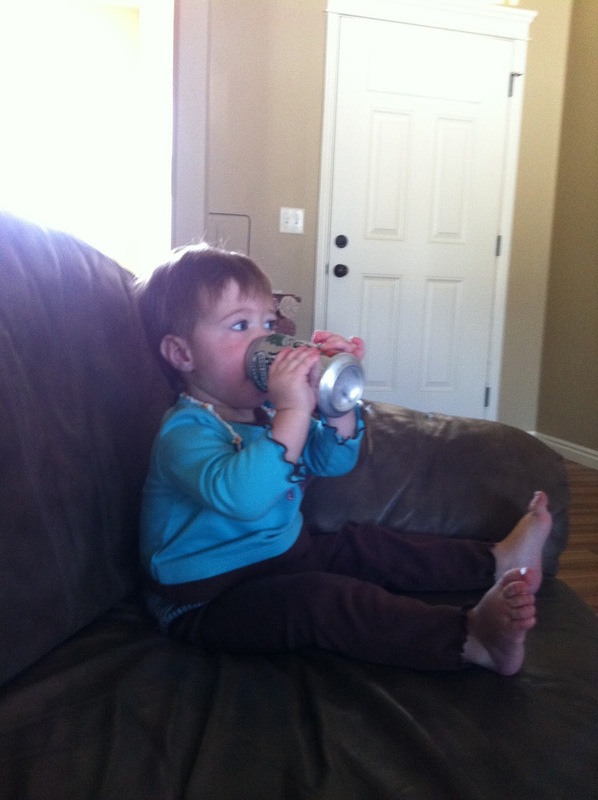 The can wasn't even opened, but somehow she got her fill. At least it is root beer. Not diet coke or coke. Love that girl. Love you too.!!! !